Boston is a romantic city, full of exciting places and things to do. You can spend a romantic day or an evening with your date while also learning about the city and the rich history and cultural traditions. Some dating ideas include the Gilliland Observatory, Duck Tours, Boston Public Garden or a gondola tour. Sight-seeing in Boston makes for a romantic date. The Museum of Science is home to the Gilliland Observatory, where visitors can see the starry sky. The observatory is located on the roof of the museum parking garage. It features many telescopes and equipment, and a knowledgeable staff is on hand to assist visitors with the equipment and to share knowledge about the constellations. The observatory is open every Friday, weather permitting, from 8 a.m. to 10 p.m. For more information, call (617) 589-0267. If you or your date are new to the city, a duck tour may be an ideal date. See all the city’s best sites and landmarks on a guided tour in a WWII style amphibious landing vehicle. Tour boats operate from March to November and begin at 9 a.m. 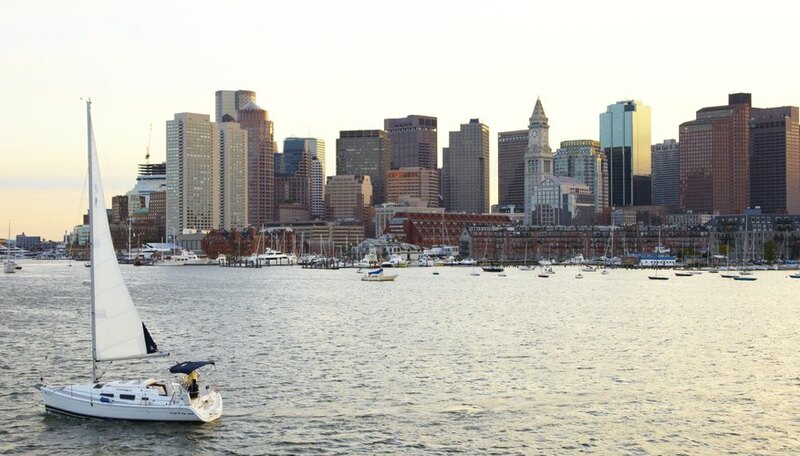 The boat cruises by the State House, Bunker Hill, Boston Common and Copley Square, Quincy Market, as well as other sites. Tour guides (also known as “conDUCKtors”) are knowledgeable and have a “quacky” sense of humor. For more information, call (617) 267-DUCK. Boston Public Garden was created in 1837. It is perfect for a romantic stroll. There are many paths for meandering through the Victorian botanical gardens privately or on a group tour. The park features over 80 species of plants, a lagoon, monuments, fountains and swan boats. You and your date can enjoy an ancient Venetian tradition by taking a gondola tour on the Charles River. Gondola di Venezia has the only authentic Venetian gondolas, built in and shipped from Italy. Gondola tours give riders a private tour of Boston. Riders are serenaded by a musician as they drink champagne or wine. Tours available Friday through Sunday from 2 p.m. to 11 a.m. during the months of June through September. You must reserve ahead of time. For advance tickets, call (617) 876-2800. Farley, Audrey. "Boston Dating Ideas." Dating Tips - Match.com, https://datingtips.match.com/boston-dating-ideas-7992444.html. Accessed 20 April 2019.